I have been swimming for Oregon Masters Swimming in Tualatin with Stafford Hills Club for almost two years now. Whether it be driving down the road to Gresham, Oregon City, or to Bainbridge Island, to compete in a swim meet…going to different pools is one of the things I love about Masters Swimming. So, when I was getting ready to book tickets for Thanksgiving to visit my family in Tucson, Arizona, I decided to check for any swim meets in the area. Pleasantly surprised, The Ron Johnson Invitational in Tempe, AZ was scheduled for the weekend before Thanksgiving. Since I swam at The University of Arizona (U of A) years ago, I was excited to get to swim at my rival school pool, Arizona State University (ASU), once again! 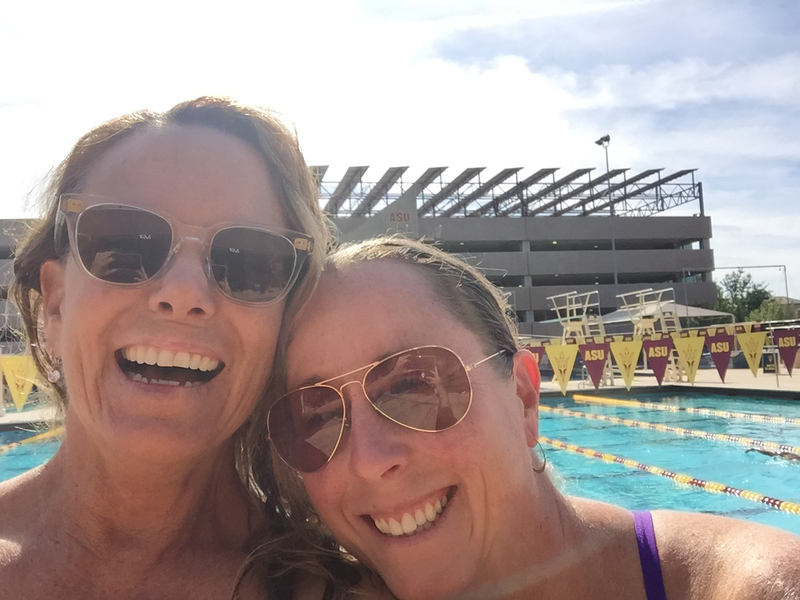 I was lucky enough to hook up with one of my favorite college swim buddies, Becki, to make the short drive to Tempe from Tucson with her and Coach Jim of Ford Aquatics Masters. Of course my stomach was trembling as we approached the familiar roads leading to the pool. What was I thinking…what if I don’t swim fast? After all, these were my old stomping grounds when I was at the top of my game back in the day! I tell myself to settle down, this is Masters Swimming…it’s all for fun! As I enter the pool, I see a familiar face from college swimming, and then another. And then, I see someone from my age group swimming days! Now this is fun…who cares how I swim! 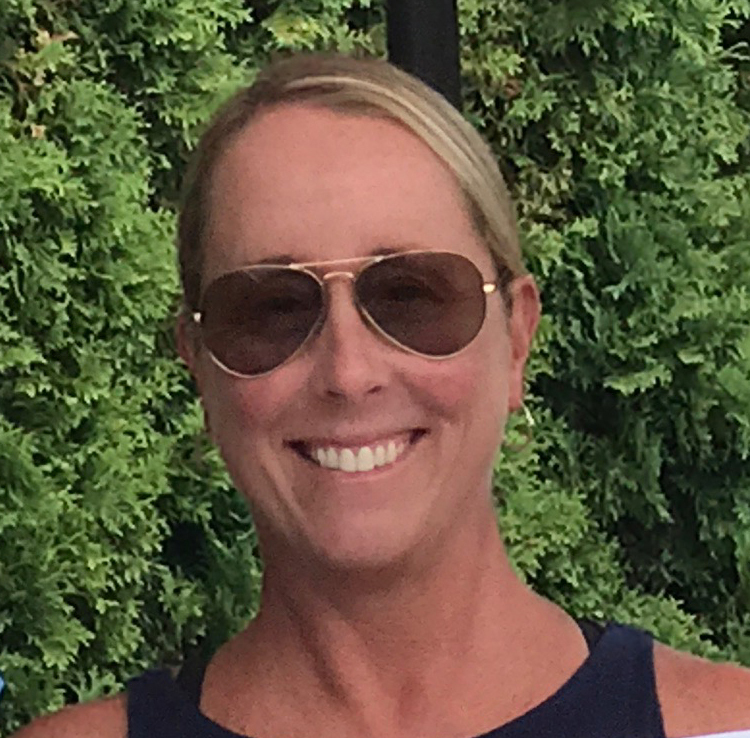 Oh, and one of the stroke and turn judges (who competed one day and then officiated the next)…yep…she officiated when I was an age grouper! How cool is that? Ok…time to warm up. I’m proudly wearing an Oregon Masters Swim Cap, and I don’t swim more than a 50 when a gal asks if I am the only one from Oregon? Yes, I am! Good luck she says, and swims on her way. Oh no, here comes the nervous stomach again. As I get ready to race, I see a few more familiar faces, meet some new ones, and look at the heat sheet. Oh great…I’m swimming next to Dean Hagen, a fellow Wildcat from U of A, (but he was a SPRINTER!!) in the 200 free, my first race. I go and find him and ask him if he is going to go out super-fast? Oh no, he insists…I’m not as fast as I used to be. Well guess what…neither am I! Long story short, he beats me, but I hung in there, finishing a few seconds behind him. I swam seven events throughout the weekend, either just beating my best time, or coming pretty close. I don’t pay too much attention to times while at meets, but rather wait for the results to come out a few days later on line. I was excited to see that I broke the Oregon State Record in that 200 SCM free…( I keep chasing my good friend Karen Andrus-Hughes’ records every meet!) and improved some top twelve times. So, overall, I was happy with my swims. My entire family came to watch me, and had a great time. They, too, knew lots of people, as we were a swimming family all through my childhood, high school, and college years. It was pretty great to have them all there. The pool is awesome, the people are amazing, and it’s a great time of year to visit Arizona. I, happily, even got a little sunburned, but was never hot. The weather is perfect in Arizona this time of year. The pool is a great one, and the area is super nice. I actually can’t believe I am boasting about ASU. It’s usually unheard of coming from a Wildcat! There are some new renovations since I swam there 30 years ago…pitchforks and flames are everywhere! Even on the backstroke flags! A little distracting during my backstroke races, but it does look pretty cool. All in all, it is a great place to visit, at a perfect time of year, and a fun time was had by all. I hope that I will make this a tradition in my fall competition schedule, and that some of my fellow OMS teammates will join me next year! It was a great experience that I hope to repeat for years to come. Francie was featured in a “Swimmer Spotlight” in the February, 2018, Aqua Master. Great article Francie, I enjoyed reading about you. I copied it so my grandchildren can read about their cousin.